Hello guys! 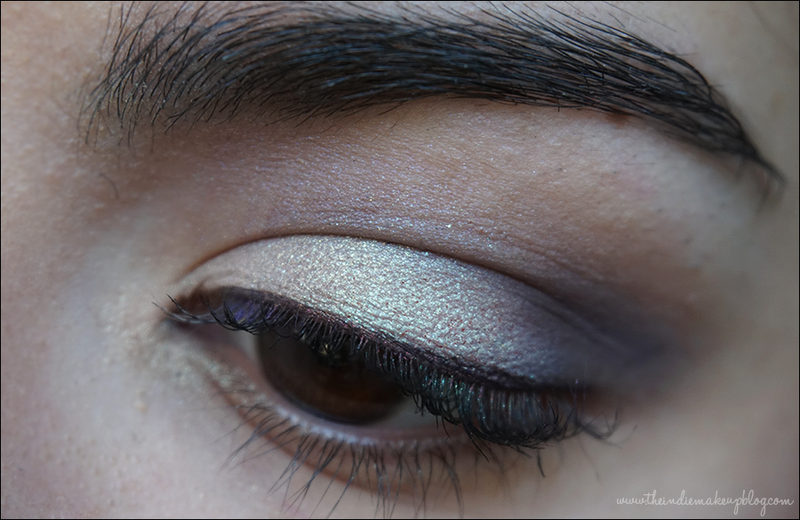 Today I have an eye look using some of the colors from Hello Waffle's 2015 Halloween collection as well as swatches of the eyeshadows. I purchased three of the five eyeshadows and a couple of lip colors. It looks like the collection is sold out at the moment but I believe there's supposed to be a restock on the shadows next week. All of the lip colors minus Outstretched are currently in stock. 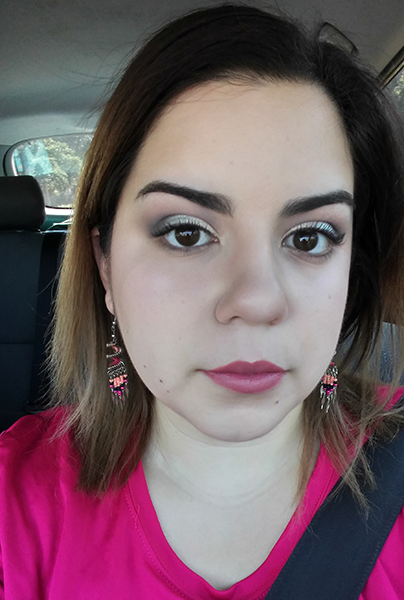 For the look below, I started by applying my Nars primer. 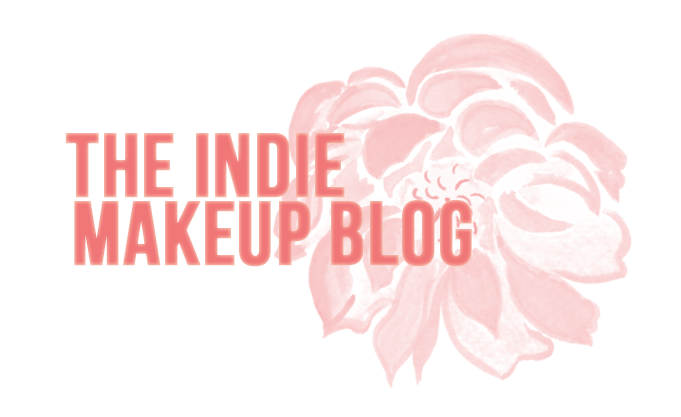 I used Urban Decay Foxy as a base shade to help my colors blend easier. Blackbird Dog Days and HW Chopin were my transitional crease colors. I used HW Burlap Sack on the inner lid, HW Static on the middle portion, and HW Photo-Negative on the outer corner. 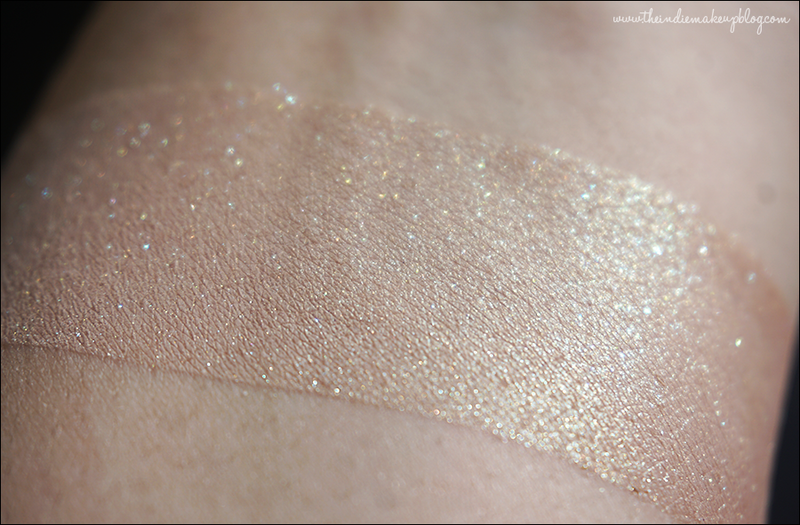 Photo-Negative was also used foiled as my liner (new favorite foiled liner!) The lid shades were applied over Notoriously Morbid's Shadow Bind. I love how glowy this turned out. The duochrome effect from these colors went very well together. I''m wearing HW Staircases on my lips with a little bit of HW Outstretched in the middle. 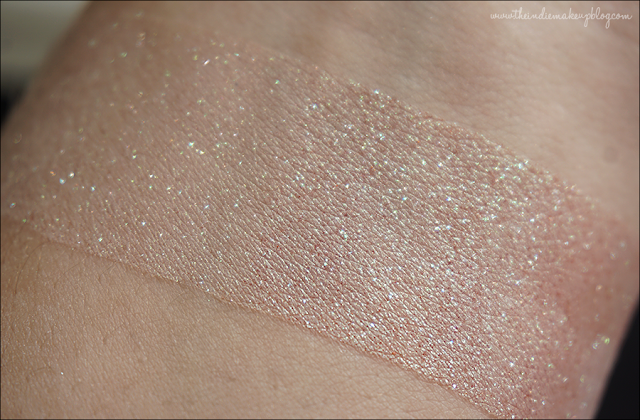 Burlap Sack (vegan, lip safe) is a peachy beige with sparkly green shimmer. This makes a lovely neutral wash on the lid over regular primer. Over a sticky base, the green shift comes out. Static (vegan, lip safe) is a light mauve with red specks and a green shift. 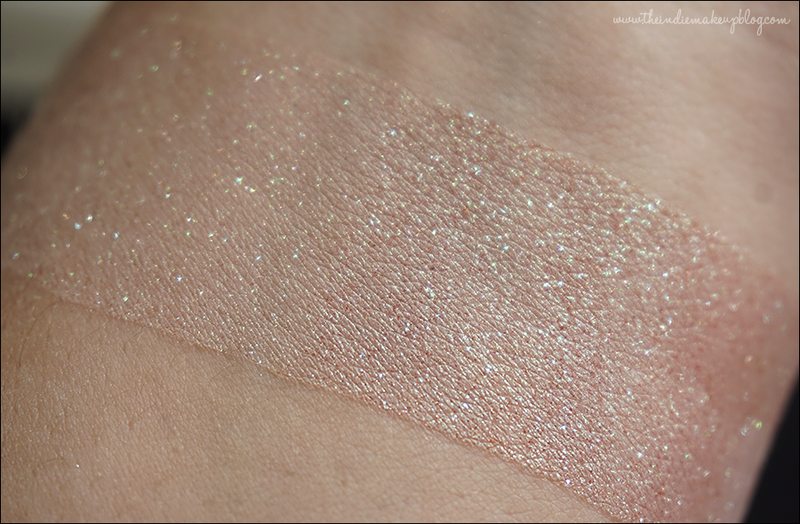 This color looks different on the eye than on the swatch. It's much greyer and has an intense aqua green shift over a sticky base. I really love the addition of the red, I didn't think I'd like them since they're matte but it actually makes the color more interesting. 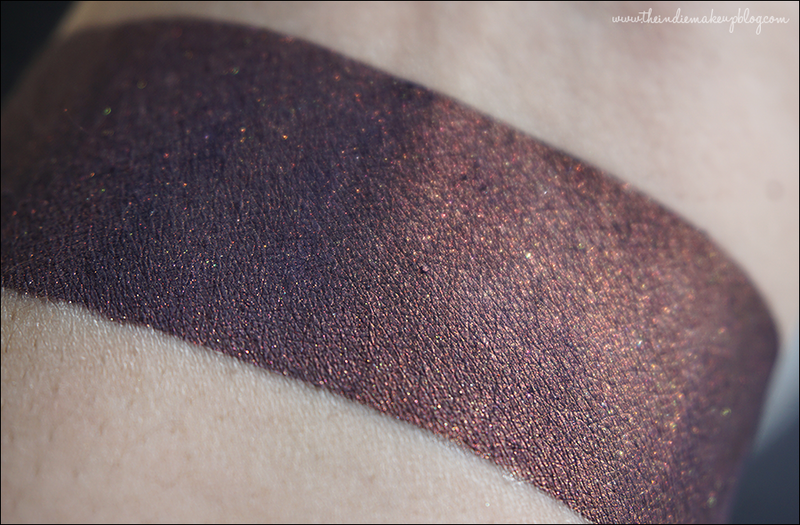 Photo-Negative (vegan, not lip safe) is a gorgeous eggplant purple base with a copper shift. Colors like this that appear to be lit from within are a serious weakness of mine. I'll have to compare this to Femme Fatale's Nightmare in Werewolf Woods and see how close they are. I can say for sure I prefer the formula of this one, it's a little smoother and pigmented. 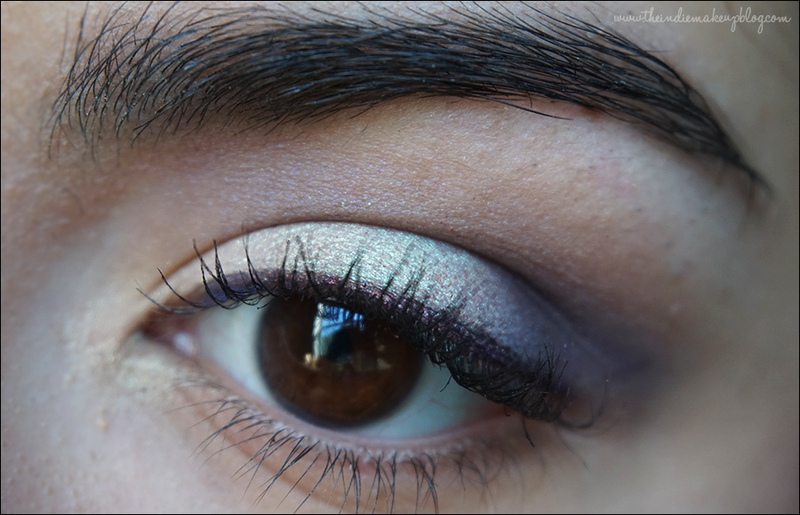 It makes a lovely liner when foiled too! I made a little snippit video of the duochrome in action! Please let me know if you find these helpful and would like to see these in future posts. Great review!! Love the video!